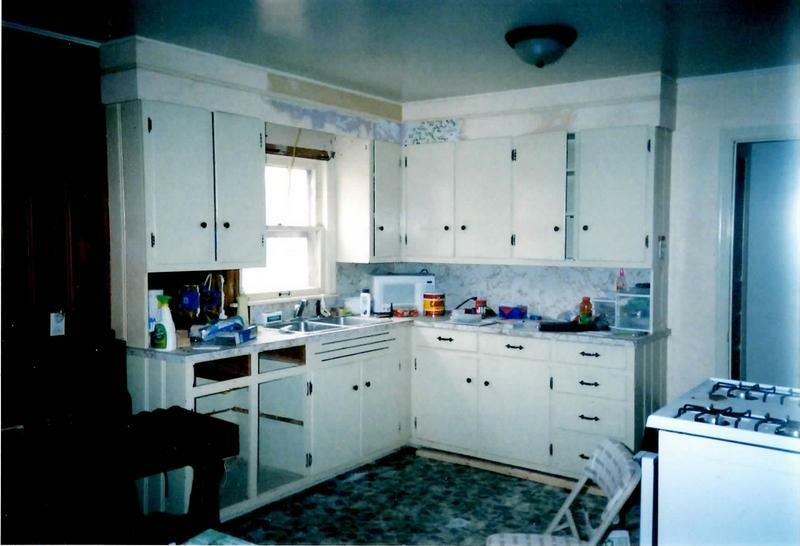 If you don't care for your existing kitchen cabinets, but they're in good condition and the layout works for you, then think about simply replacing or refacing the doors with an updated style. You can also replace some of the panels with glass or even remove them altogether to display decorative items. Finish off with a new coat of paint or stain and new hardware and you can get a whole new look for a fraction of the cost. 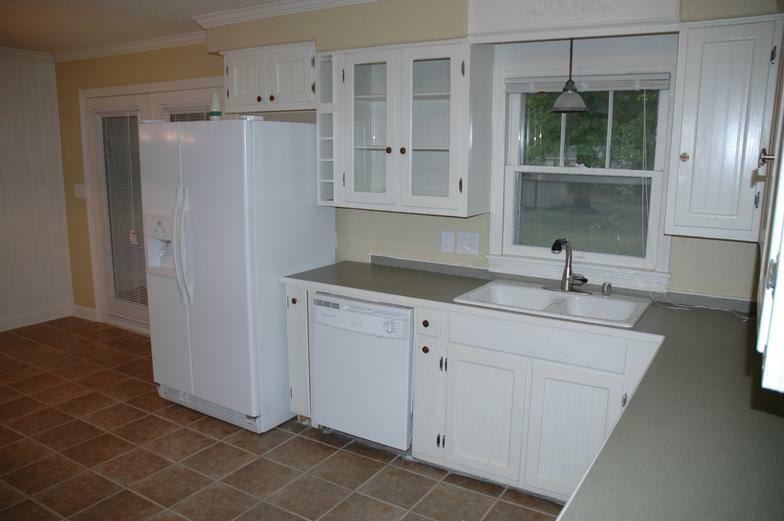 The flat front cabinets to the right were re-faced by adding a layer of beadboard and framing. Glass was added to two of the cabinets for display space. This page is a Work in Progress - Please check back again soon!